The careers of New York City detective Simon Ziele and his former partner, Captain Declan Mulvaney, went in remarkably different directions after the tragic death of Ziele's fiancée in the 1904 General Slocum ferry disaster. While earmarked for bigger things, Ziele moved north of the city to escape the violence, and Mulvaney dug in deeper, heading up the precinct in the most crime-ridden part of New York. Yet with all of the resources at Mulvaney's disposal, a puzzling crime compels him to ask his former partner for help. A chorus girl has been found dead on a Broadway stage dressed as the lead. There is no sign of violence. The coroner would call it a suicide, but then she'd be the second actress to die that way in only days. 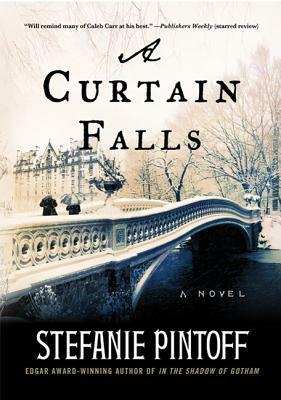 Following on the heels of Pintoff's Edgar Award–winning debut, A Curtain Falls is a moody and evocative tale that follows Ziele as he scours the streets in search of a true fiend.